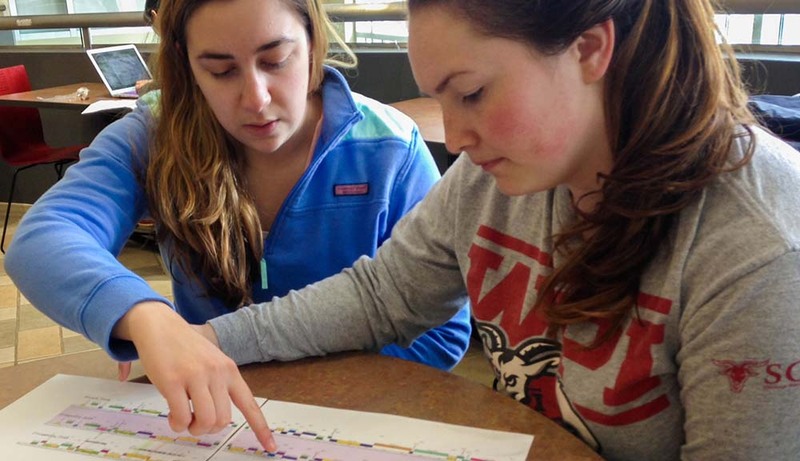 WPI’s distinctive project-based approach to education transforms bright students into thoughtful, action-oriented problem solvers who hit the ground running. Sponsor a project to engage the fresh perspective of a dedicated student team, guided by top-notch faculty, to tackle pressing business challenges. Our records show that ideas presented by WPI students translates into tangible solutions for project sponsors. 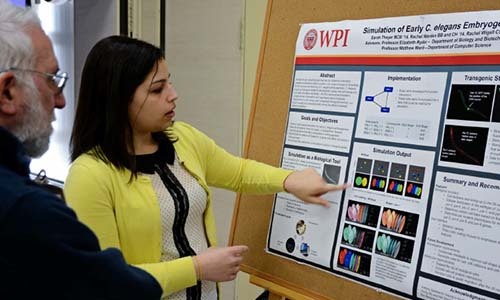 Why sponsor a student project at WPI? A student/faculty team is committed to working on your specific problem. Teams employ the most recent, state-of- the-art techniques, practices, and theories. Returns on investment that well exceed initial costs. A unique opportunity to screen for future technical talent. A project cannot be “mission critical” or on the “critical path”. The best types of projects support or enhance current activities. Most Major Qualifying Projects (MQP) consist of a team of 2-4 students and a faculty advisor, although in some cases—depending upon the scope of the project and the disciplines of the student team—there may be additional advisors. Together with our public and private partners, we are making progress one project at a time. If your company could benefit from a creative, problem-solving team of students focused on issues in your industry, contact the Corporate Engagement team. Each spring, students take the time out from their studies to present the results of their MQPs to their faculty advisors and external sponsors on Project Presentation Day. The projects must be thoroughly documented in written reports, and virtually all teams also make presentations of their results. I value the WPI project experience because of the enthusiasm and energy the students bring to the organization. The students are able to quickly conduct the preliminary research on topics that we just do not have the time or resources to do. The students’ plan will serve as a blueprint for all other areas where we intend to build more community centers. The WPI students implemented their work with confidence, creativity, and good humor. The impact has been significant. 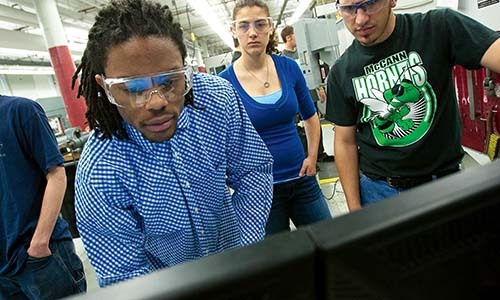 WPI consistently produces top-notch engineers and scientists that come with the technical and professional skills to easily integrate into our work environment and make immediate impacts.